Almost one in four Indians live without electricity. The majority of those 300 million — equivalent to the combined populations of Germany, the UK, France Italy and Australia — live in remote rural areas, complicating previous efforts to connect households to the national grid. And whereas living standards in major Indian cities continue to rise, these rural villages remain largely impoverished — cut off from modernity and denied the types of access and development opportunities electricity provides. But an ambitious and newly announced government initiative is aiming to change that. The Saubhagya scheme, which means “fortunate” in Hindi, is a $2.5 billion project backed by Indian Prime Minister Narendra Modi that promises to provide electricity to every Indian household by the end of next year. But is it really possible — and how might it be achieved? 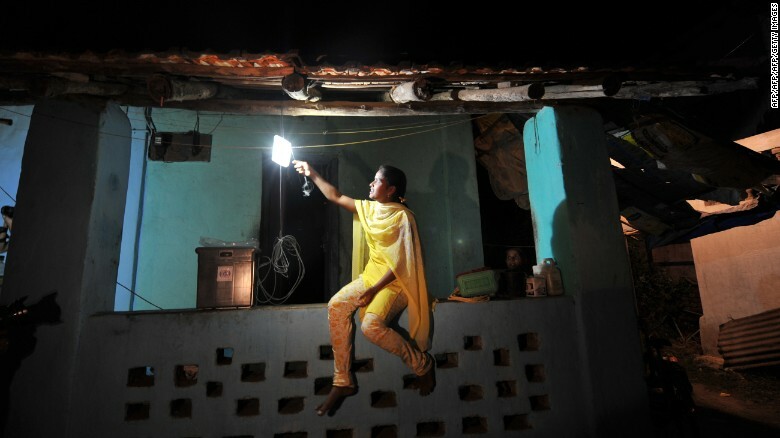 A girl switches on a light powered by solar energy in the village of Morabandar on Elephanta Island, off the coast of Mumbai. Until now, one of the biggest challenges involved in providing rural households with electricity has been the prohibitively high installation costs. To remedy this, the new scheme will offer low income households free installations to the grid. “There’s a much larger base who will be able to get free connections,” Abhishek Jain from the Council on Energy, Environment and Water (CEEW), a Delhi-based think tank, said. The latest scheme will also have a solar energy component. The government has said it will provide some households in remote areas with a solar direct current system, bypassing the need for costly cables. Solar direct current systems are self-sufficient and can provide individual households with a basic, stable supply of energy, particularly if those houses are in hard to reach locations, said Jain. A pilot project using a system designed by the Indian Institute of Technology Madras was recently found to be successful in remote areas in Rajasthan. Increasing solar energy has been a prominent part of Modi’s vision for India, and this newest plan could be a boost for struggling Indian solar companies. 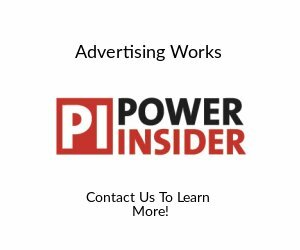 India’s solar capacity has now hit 16 gigawatts (GW) from a total of 300 GW total power generation capacity, according to Bridge to India, a solar energy consultancy. However, India’s solar push has by so far been led by Chinese companies who offer cheaper sources of solar energy. According to figures from a government think tank, 300 million Indians are currently without electricity. Yet, the government also claims that 99.5% of all villages are electrified. The apparent discrepancy is due to the government’s broad definition of what constitutes “electrified.” At present, a village is deemed electrified if just 10% of households and public institutions such as schools and hospitals are connected to the grid. 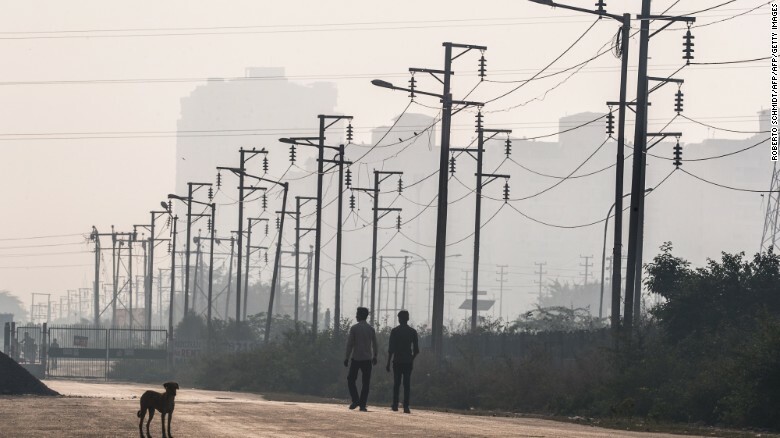 Two Indian men walk past electricity wires near newly built residential towers in Noida, a satellite city of New Delhi. 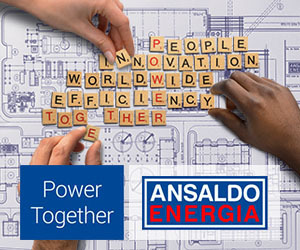 Moreover, the figure doesn’t account for the quality or the duration of the power supply. According to Jain, the new program’s deadline of December 2018 is “super ambitious” but theoretically doable, as the policy focuses only on building the necessary infrastructure — the service wires, the poles, the electricity meters and solar panels. What the program doesn’t guarantee is electricity. Federal authorities lay the infrastructure, but it is up to state level governments to provide the power that runs through electric lines. And state power distribution companies are largely in debt, to the sum of billions of US dollars, explains Lydia Powell, a senior fellow at the Observer Research Foundation (ORF). The new policy has yet to address these funding issues. So why has the pace of rural electrification been slow under successive governments? In fact, some say the latest program is itself a political response to growing economic frustrations in India. 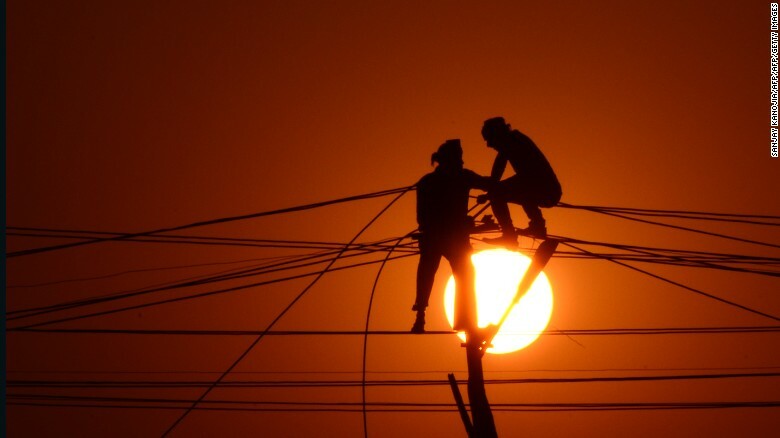 Indian workers adjust electricity cables set up temporarily on the banks of the river Ganga, December 26, 2015. In 2014, Modi campaigned and won on a platform emphasizing how he would energize the Indian economy. But India’s GDP growth rate fell to 5.7% in the first quarter in 2017, the slowest growth in three years — and the lowest since Modi came to power in 2014. 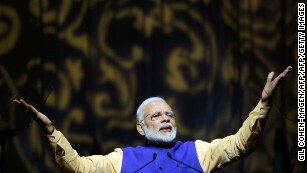 Modi’s 2016 move to scrap high denomination currency notes, along with problems in the implementation of a new nationwide goods and services tax, have been blamed for the slowdown. Economists are now warning the reasons behind the slowdown may go deeper than these two short-term obstacles. Among the hardest hit by this slowdown: The poor. Many Indian farmers, for example, are facing a financial crunch as their production costs rise but profits fall. “People on the ground are feeling the pinch. The economy is not doing as well as the government says it is,” said Neelanjan Sircar, a senior fellow at the Center for Policy Research in Delhi. According to Sircar, this growing sense of frustration with declining growth means the government now feels the need to act quickly. “They feel like they’re losing the narrative on the economic front,” explains Sircar.